5	stars -	"Review for Surf Sail Australia Metric Fin Bolt M6 Single" Mark Taylor This Surf Sail Australia Metric Fin Bolt M6 Single is the best Stainless Steel Bits I have tried. 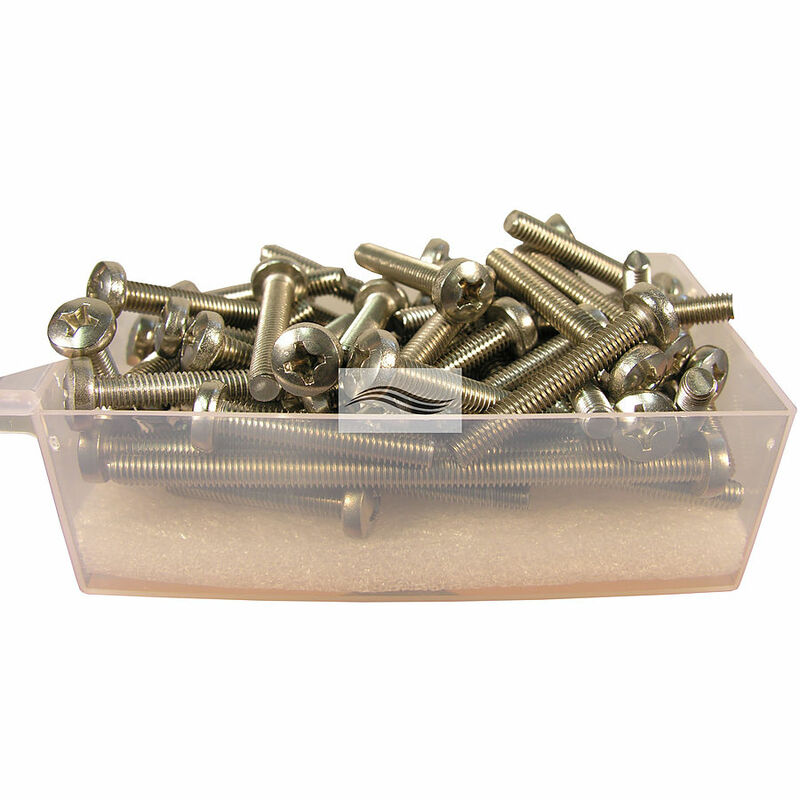 Price for single fin bolt (machine screw) 304 grade stainless steel machine screw metric M6 thread (6mm). 10 sizes 20mm-100mm. Can be cut to exact length. Pan Head with cross recess drive. 304 grade stainless steel machine screw metric M6 thread (6mm). 10 sizes 20mm-100mm. Can be cut to exact length. Pan Head with cross recess drive.